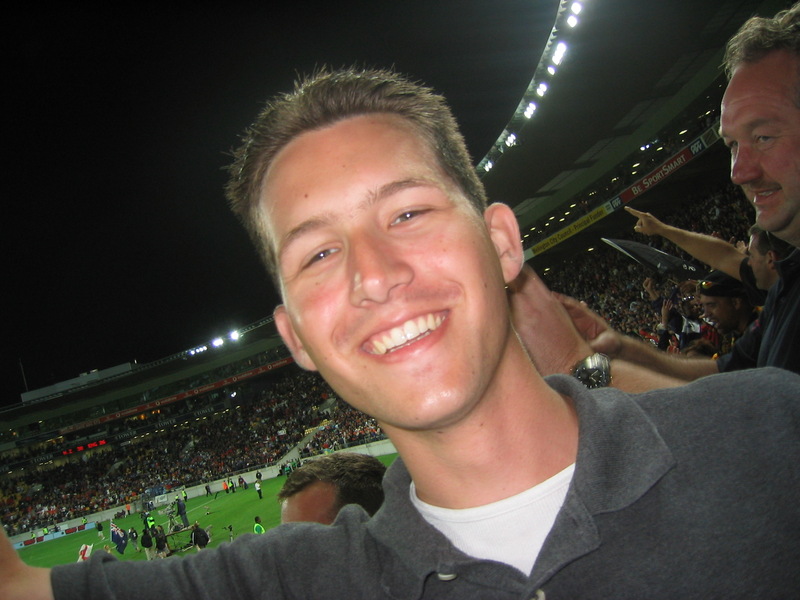 Jonathan LaCour: The Sevens... "Go Kiwis!" 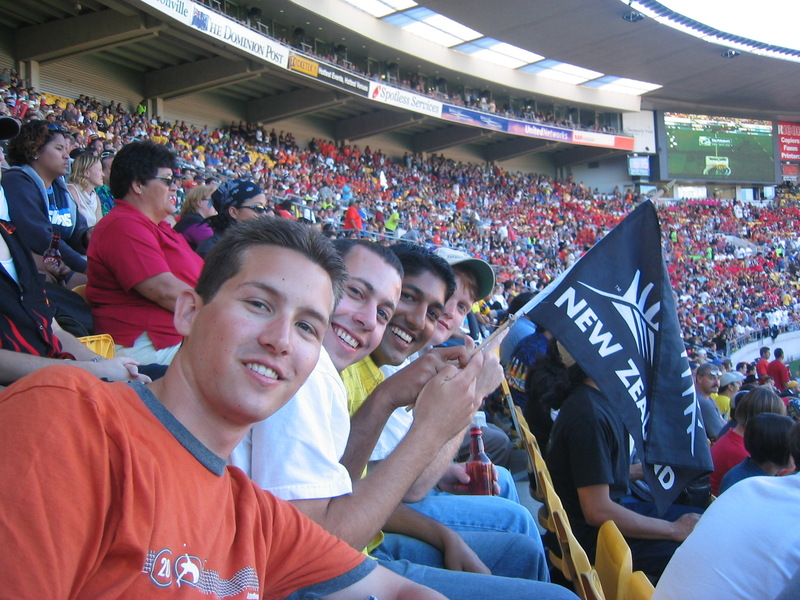 I purchased tickets for the Sevens before leaving the states through a friend here in Wellington, and convinced some guys on the trip to come along with me. 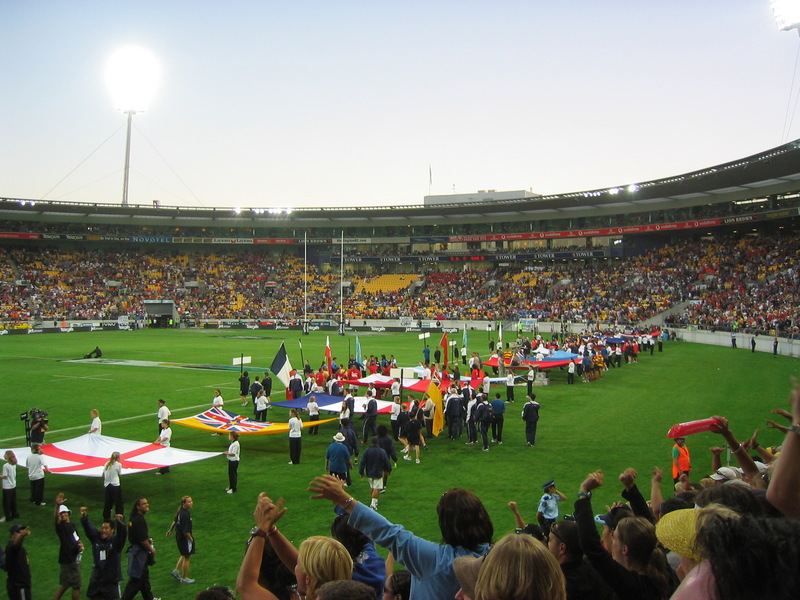 After renting a car in Lake Taupo and arriving in Wellington late on Thursday night, we woke up on Friday morning and headed down to WestPac Stadium for the start of the Sevens. Upon arriving, we assaulted my kiwi friend with questions about the game, so that we would understand what was going on. Its a fairly simple game, so we got into it early on. The New Zealand team on the other hand is incredible. They are strong, confident, and play with bursts of speed that are unrivaled by the rest of the world. They outscored opponents 112-12 on the first day, taking out Tonga, Papua New Ginuea, and then destroying England in the final match of the first evening. The next day, my friend's family invited us up to their house for a Kiwi BBQ before the following days matches, and we gladly accepted the offer. The food was great, and got us charged up before Saturday's festivities. By the time the second day rolled around, we were all huge fans of this rugby thing, and had decided to go ahead and pull for the home team. This allowed us to make a lot of friends in the stands, who would in turn pull for the U.S. team too. The U.S. team won two in a row to advance to the Bowl Semifinals, where we tragically lost a close match to a tiny little Pacific island team called Niue... we were crushed. 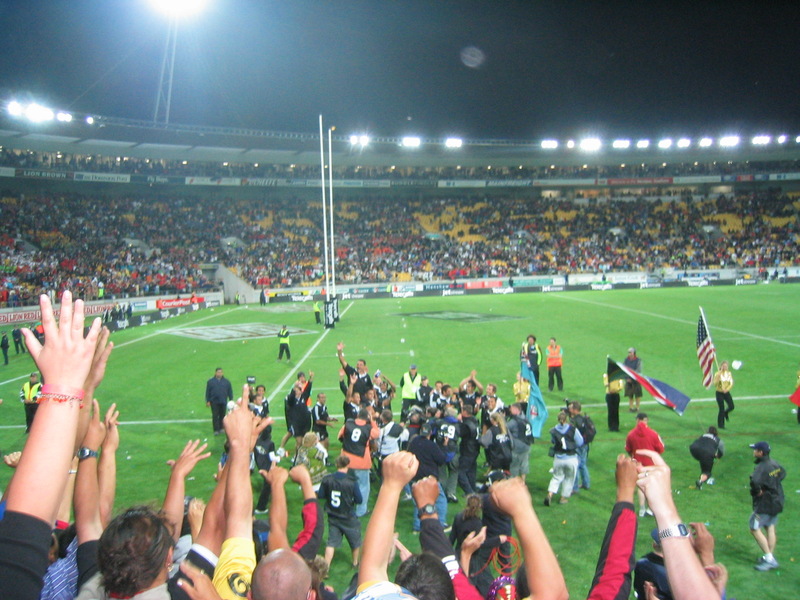 The New Zealand team, however, had worked its way into the brackets for the championship game, which it had never won at home in Wellington. The kiwis beat the Samoans in a very close match early on to advance to the semifinals, where they played Fiji, a powerhouse. This was easily the best game of the day, as the Kiwis rallied from losing a man to a yellow card and won the game by scoring on the last play of the game to advance to the Cup Championship against England, who surprisingly defeated Australia and was out for blood against NZ after its embarrassing defeat the night before. In the final game, New Zealand won a close match with England to capture its first tourney win at home. The team walked around the stadium doing a dance for the audience as people chanted "Go Kiwis!" Last night we celebrated with the city of Wellington until 3:30 AM and enjoyed being honorary Kiwis for a day. What a fantastic weekend!